Andrew J. Morgan | Attorneys | Brick Gentry, P.C. Brick Gentry gives me the opportunity to engage with clients on a more personal level enabling me to craft customized solutions in a unique manner. Andrew Morgan joined Brick Gentry P.C. as an associate in 2018 after serving as a law clerk for the firm. Andrew works in the firm's Intellectual Property Law group and specializes in all aspects of Intellectual Property and Technology law. Andrew assists in the prosecution of Trademark and Patent applications and the preparation of availability reports and infringement relating to the same. Andrew was born and raised in Peru, Illinois, before coming to Iowa to attend Drake University Law School. 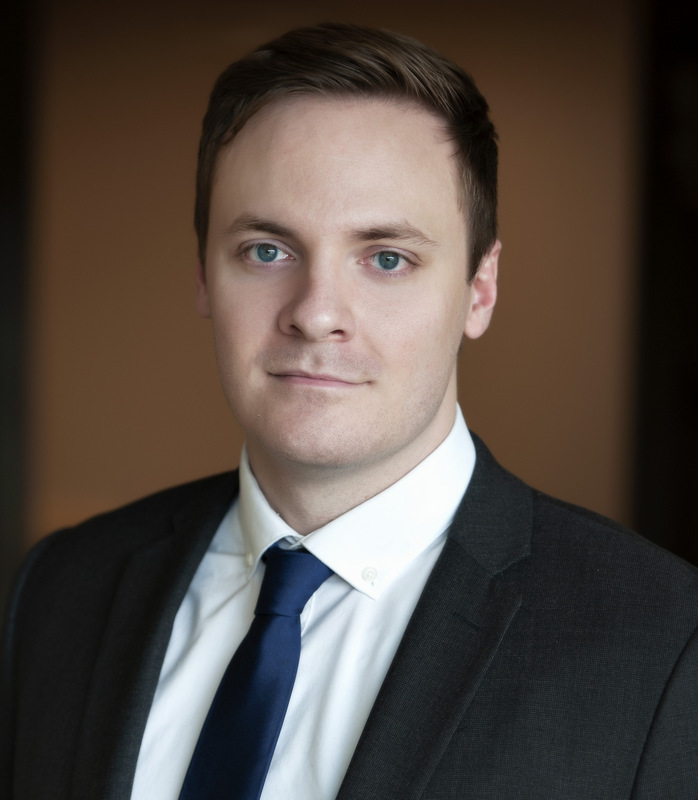 Prior to attending Drake University, Andrew received his degree in political science from the University of Illinois at Urbana Champaign where he studied interstate conflict with a special focus in nuclear non-proliferation.